Just before the Holidays, I kicked off our three-part series on Portugal’s Alentejo region, with a trip to Évora. For the foodies and wine lovers among you, not to mention history buffs, this should not be missed! Today, however, we’ll be heading to the southernmost region, Baixo Alentejo, for a trip that’ll inspire the laid-back, country-living foodie in you! Elated, I asked them what brought them to Lisbon. “We’re working in a winery in the Baixo Alentejo!” Like an adopted family, we toasted to our fortunate and fate to run into one another, as well as the extraordinary nature of some of the region’s simplest gastronomic products – olive oil and cheese, and of course wine! Delicious edibles are just the beginning of the fun, as the Baixo Alentejo makes for an authentic country escape that showcases some of rustic Portuguese living at its best. While it’s impossible to give you a complete snapshot of this vast region, here are our best tips for unique gastronomic experiences to inspire the perfect Portuguese rural getaway. 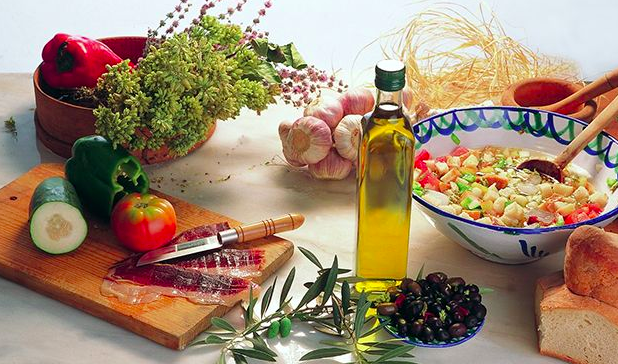 Olive oil is omnipresent in Portuguese cuisine. Used as dip for bread, splashed over grilled fish, basted over pork chops, used to season potatoes … it’s a challenge to find a dish on a Portuguese menu that hasn’t seen olive oil. Olive oil has long had a prominent place in Portuguese culture. Consider it the Queen of Condiments. As far back as the 500s AD, olive trees were protected by the Visigothic Code, which punished their uprooting. Historically, olive oil was also burned for illumination. Amongst Catholics, it was even considered sacred! This golden liquid continues to be important to Portugal, particularly to the Alentejo. 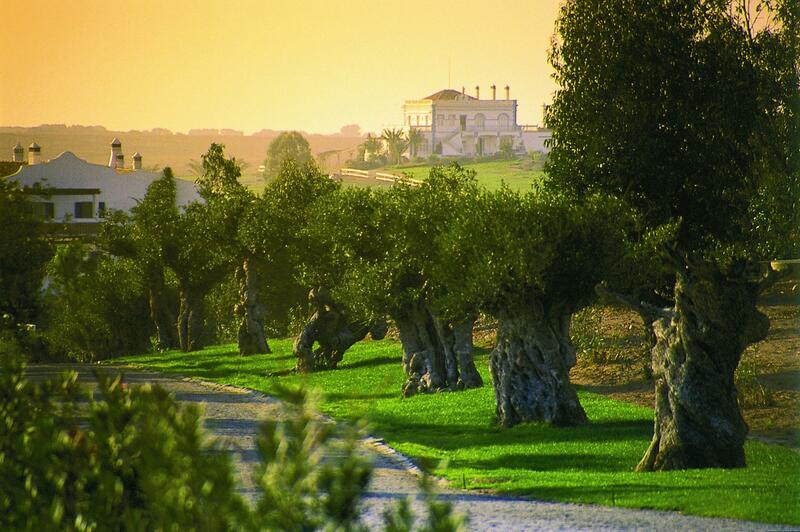 The Alentejo is responsible for over half of the country’s olive oil production. The Baixo Alentejo has its own special claim to olive oil fame! Get to know the region’s Azeite de Moura, a DOP olive oil native to the villages of Moura, Serpa and Vila Verde de Ficalho. DOP is a status that gives agricultural products a certain protection and quality control, ensuring local production and packaging in accordance with strict guidelines. When it comes to DOP, rest assured that what you’re getting is up to snuff. Start your olive oil education at the Lagar de Varas do Fojo in Moura. Here, you’ll visit a 19th-century olive oil mill that has been transformed into a small museum. At the museum, you’ll walk through the primary aspects of olive oil production. Have fun looking at centuries-old pressing and milling machinery and equipment! The museum, on Rua São João de Deus, is open from Tuesday through Sunday (9:30 am – 12:30 pm, 2:30 pm to 17:30). After learning about olive oil production at the Lagar de Varas do Fojo, drive to nearby olive oil cooperative Cooperativa Agricola de Moura e Barrancos for an insider’s view of olive oil production in action. While the cooperative doesn’t conduct regular tours, call in advance in order to request a visit to the cooperative’s production facilities (+351 285 25 0720), which can be arranged at no cost. Follow your tour with an on-site tasting at the cooperative’s store, where you can purchase your favorite olive oils. Cooperativa Agricola de Moura e Barrancos is located on Rua Forças Armadas 9 and is open from Monday through Friday (9:00 am – 12:30 pm, 2:00 pm to 5:30 pm). Being the hands-on adventure foodie I know you are, check out a Serpa factory! 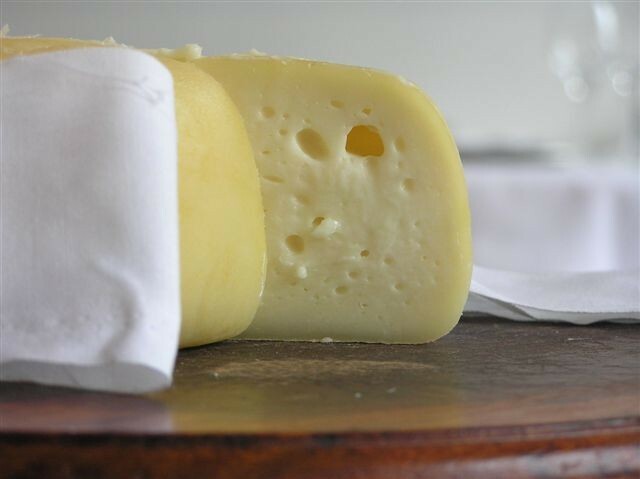 Drive to the town of Serpa, the cheese’s namesake, for a visit to Tradiserpa (R. do Cano 6, Tel: +351 284 549 302). If you’re lucky, you’ll see cheese production in action. Make sure you call in advance to schedule a bespoke tour of the factory, which is open from Monday through Saturday. You’ll also be able to purchase cheese on site to take home with you! If you have time, be sure to stop at neighboring Queijaria Guilhereme (Monte Vale de Faia, Apartado 728) to pick up a few blocks of their award-winning cheeses. There is no appropriate way to eat cheese without having an accompanying glass of wine. Or so would the Portuguese say! Follow-up your trip to Serpa with some heavy duty wine tourism – the highlight of my previous trips to the Baixo Alentejo. There are dozens of winemaking gems to discover, and luckily, some of my favorite Baixo Alentejo wineries also boast superb accommodation! I made my first visit to Herdade dos Grous after tasting this winery’s Moon Harvested wine, made from Alicante Bouschet, over dinner at a restaurant in Évora last year. Moon Harvested blew my mind. It is full bodied and velvety, concentrated on the palate with flavors of ripe, black cherries and plums, sweet spice and dark chocolate. As ‘Moon Harvested’ implies, the grapes for this wine are picked at night. Harvesting is done by hand. The grapes arrive for pressing at Grous’s modern winery cloaked in darkness and protected by cooler nocturnal temperatures. Think of the process as extra TLC for the grapes, resulting in extraordinary quality wine. Schedule a visit to Herdade dos Grous’s state-of-the-art cellar and winery and complete your tour with a tasting of your choosing. Make sure to book your tasting in advance (+351 284 9600), as only two are conducted daily. Less than half an hour from Herdade dos Grous, you can taste the highly acclaimed wines of Herdade da Malhadinha Nova. This winery has seen repeated Parker scores above 90! Schedule a visit (+351 284 965 210) to Malhadinha Nova’s sophisticated cellar, which was inaugurated 15 years ago – the very year of Malhadinha’s first harvest. Decide how far your taste buds can go and then take your pick of a 3, 4 or 5-glass wine tasting. Are you a wine novice hoping to learn the basics? Ask about an introductory tasting course led by Malhadinha’s sommeliers. Or perhaps you’re a seasoned wine aficionado hoping for a challenge? If so, arrange for a blind tasting by Portuguese grape variety or region. Each of these tastings costs €25 per person and will last about an hour. There’s nothing better than a little nap time after a good wine tasting session. The great news is that you can do just that at each of Herdade dos Grous and Herdade da Malhadinha Nova! These estates have tasteful, understated and distinctly luxurious country hotels on site. Double rooms start at €150 at Herdade dos Grous and at €250 at Herdade da Malhadinha Nova. Both of these hotels boast an on-site restaurant featuring traditional Alentejo fare where you can order estate-produced wine with your lunch or dinner. Living to eat and eating to live can become blurred in Portugal. This is certainly the case in the Baixo Alentejo! I hope this piece has inspired you to seek out some of these amazing flavors wherever you are in the world! But keep in mind, these are just the tip of the iceberg! If you’re keen for a first person experience, where you can savor these flavors first hand, let us plan a custom-made tour for you! 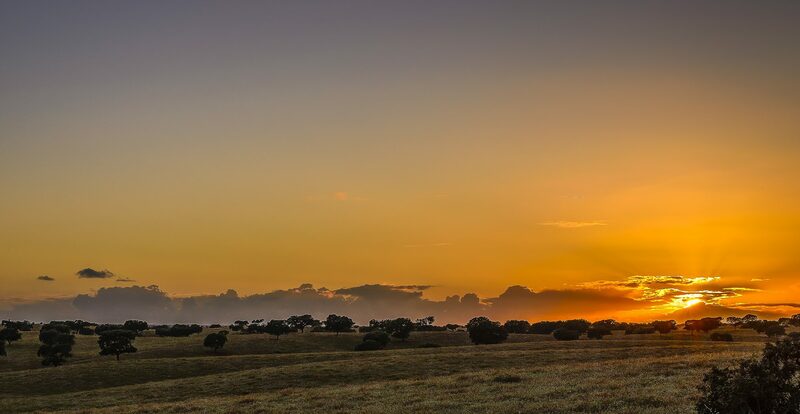 In the meantime, stay tuned for our final post on discovering the Alentejo, where we’ll explore Northern Alentejo!